Bowtex was founded by a BMW-mechanic from Brussels who gave up the search for the perfect motorcycle trousers. He, like so many of us, just wanted to wear his favourite jeans on the bike but felt bad about skimping on protection. 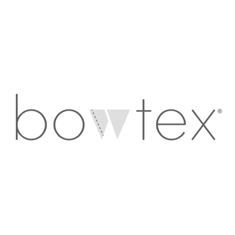 So he developed the Bowtex abrasion resistant leggings. These can easily be worn underneath your favourite trousers, no matter what fit those are. They are constructed from a stretchy, soft blend of Kevlar®, Protex and cotton and have 100% Kevlar® patches on the high-risk areas (knee, hip and bum) and there are pockets to fit knee and hip armour. They are soft to the touch and feel just like a pair of pyjama bottoms when wearing them. They'll offer an extra layer of clothing in winter but are breathable so can easily be worn all year round. Sizing for the Bowtex Standard Unisex Long Johns as verified by the Urban Rider team. Take your favourite trousers, lay them flat and compare them to our measurements of the Bowtex Standard Unisex Long Johns below.